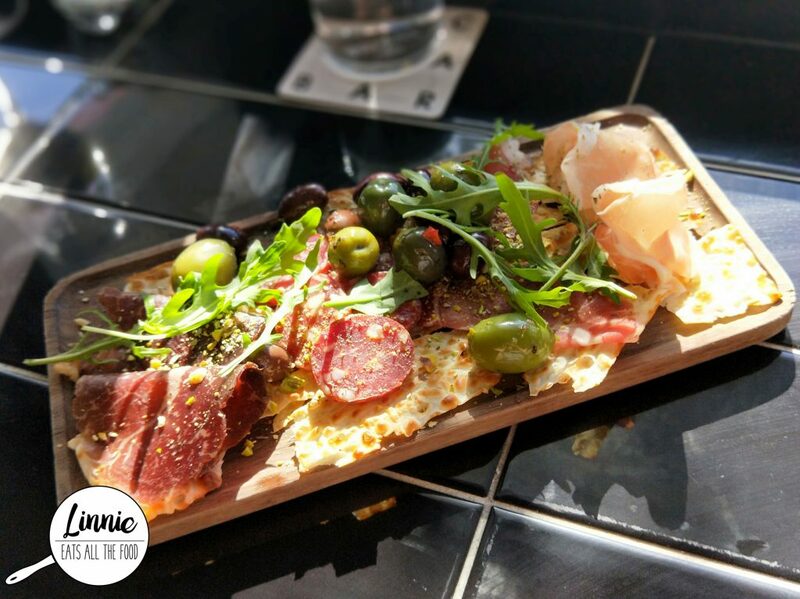 Located in Brighton sits a humble Italian bar called Cucina Bar for those who wants pre-drinkies before heading across the road to Cucina & Co for some food. Spacious with fantastic staff, it’s definitely a great place for after work drinkies. 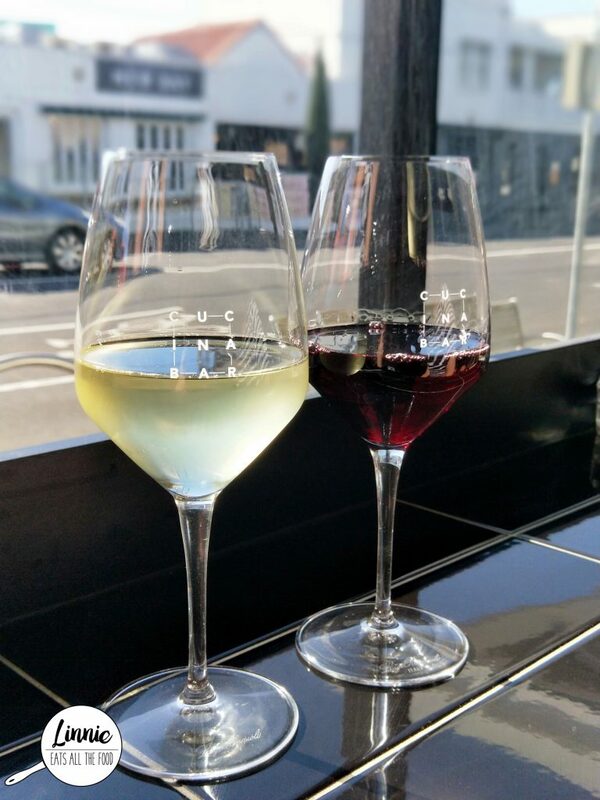 Wine drinkers – the wine here is top notch and if you sit by the windows, you’ll definitely be people watching while you sip your little velvety drinkies. To start off the night we had the chef’s selection of cured meats and this is definitely an awesome idea because the cured meats were DELISH! 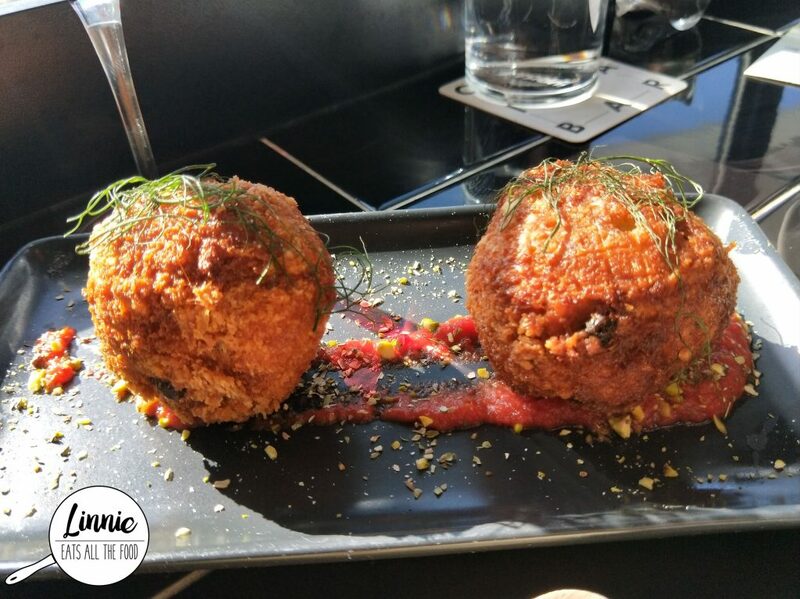 The flavour of arancini changes every week and we got the mushroom and cheese. It was a touch bland and needed a lot more seasoning. The Sardines with breadcrumbs, pinenuts, oranges and cheese are a recommended dish. It was salty, it was bursting with flavour and it was subtle. It was definitely AMAZEBALLS! 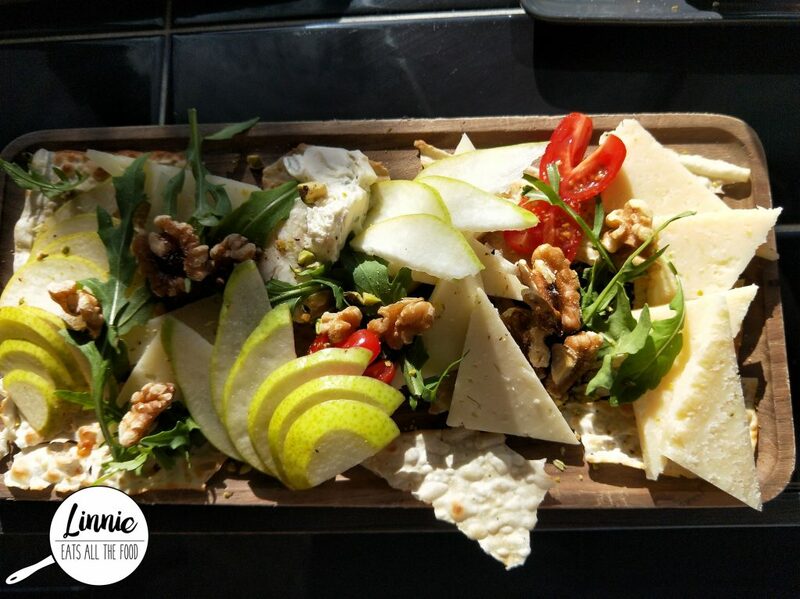 Cheese lovers, the chef’s selection of cheeses were fantabulous! 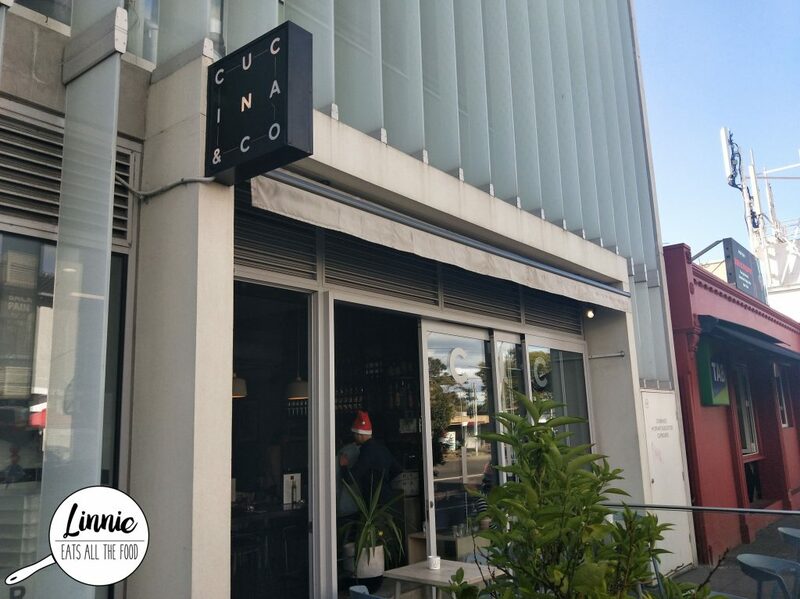 We moved across the road to Cucina & Co which was the restaurant and despite being full, we were ready for more food! 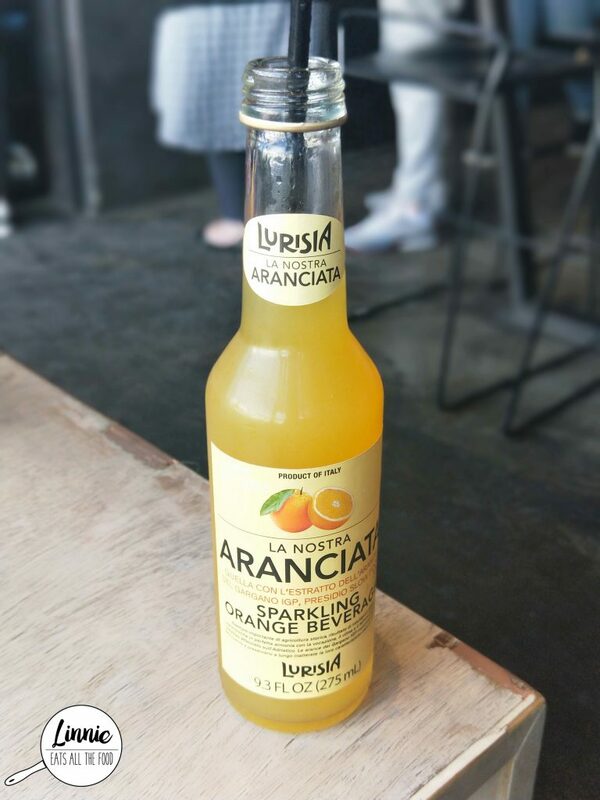 Mr D loved the Lurisia La Nostra Aranciata! Very refreshing and did not taste like syrup at all. 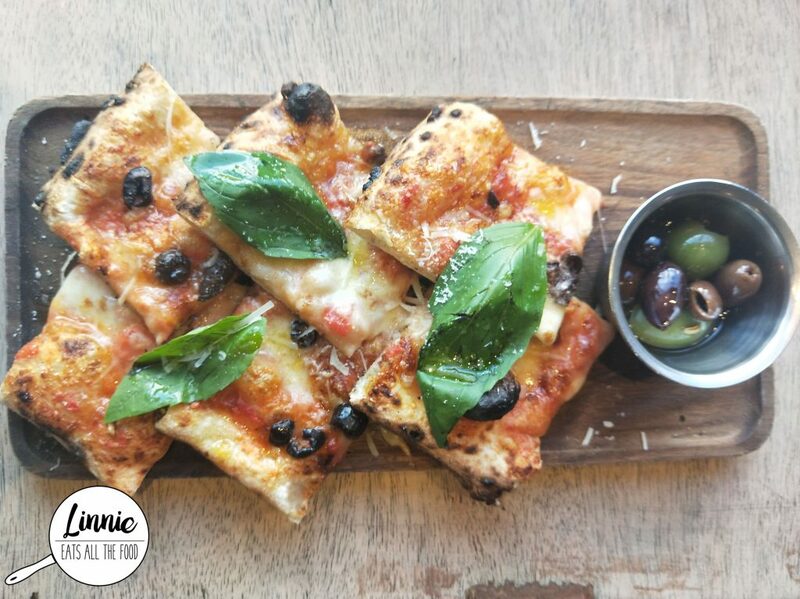 The focacciata, the base was fluffly and the toppings were fresh and despite being so simple, it was just DELISH! The pizza here was AMAZEBALLS! The dough is left to rise for 72 hours and that makes it absolutely fluffy, light and felt like I was eating air. 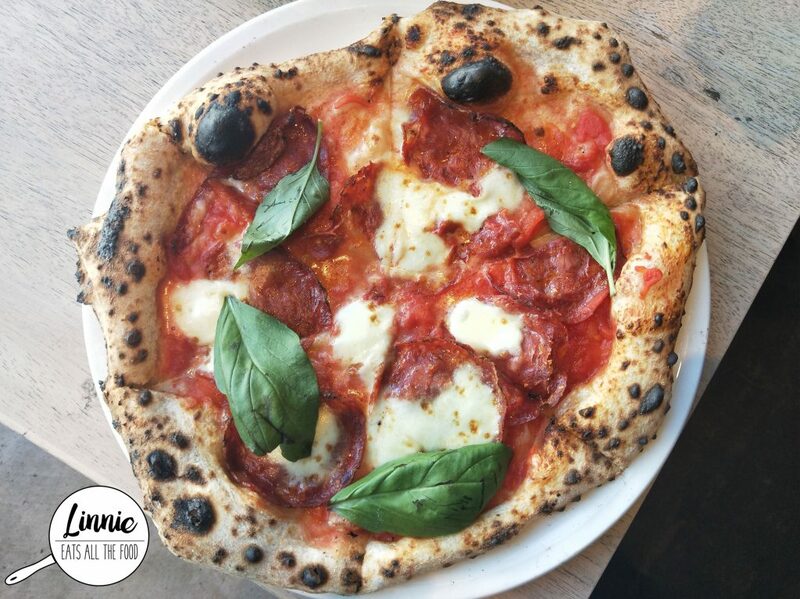 The Diavolo includes spicy salami, basil, mozzarella and tomatoes and boy oh boy was it fantastic! I love pappardelle but anything with lamb was risky with me, if there’s a lamb smell I cannot have it at all. However, the pappardelle with slow cooked lamb and pork ragu was TOTES AMAZEBALLS! It was rich in flavour, it wasn’t too lamb-y and that pasta was magnificent. 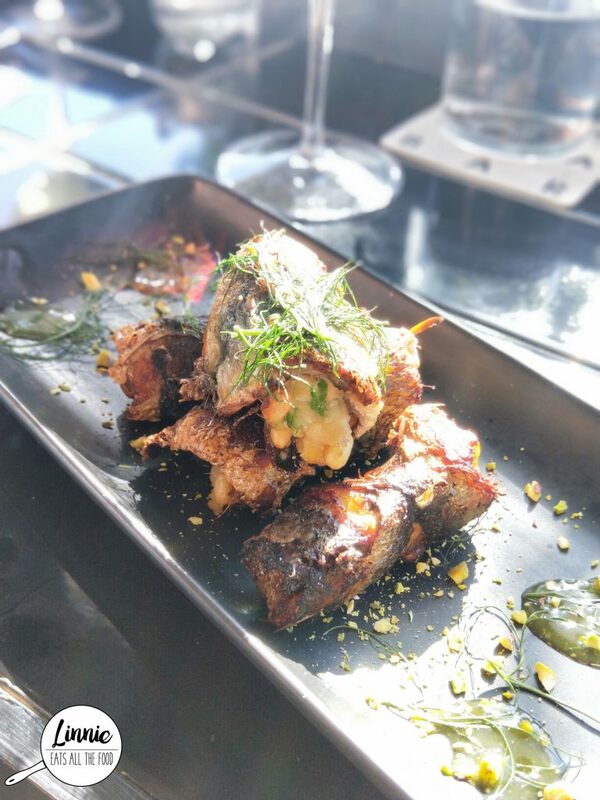 If you come here and can only order one dish, definitely get this because you will not be disappointed. Let’s move onto dessert. The nutellio which is a calzone filled with Nutella was oh so super sweet and the dough was fantastic but I’m not a fan of dessert calzones. The vanilla ice cream was rich, creamy and oh so refreshing but this dessert did not do it for. 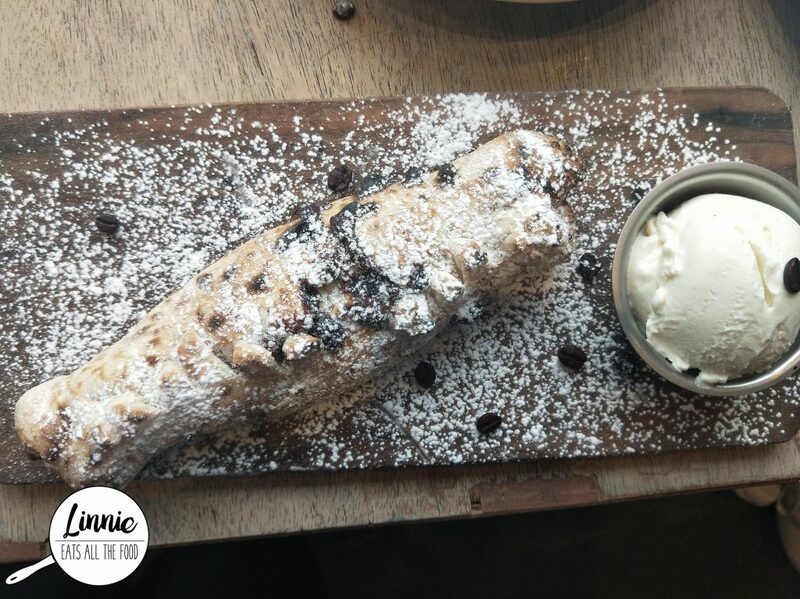 I’m not a huge fan of cannoli BUT when they said we had to try this one they were not wrong. The pastry was crunchy and crispy, the filling was ricotta with orange and lemon zest on top and oh my effing gosh, I heard angels sing when I bit into it. Mr D who absolutely cannot have ricotta in desserts was speechless when he bit into this dessert. YES! Get this and be transported to a warm and happy place. 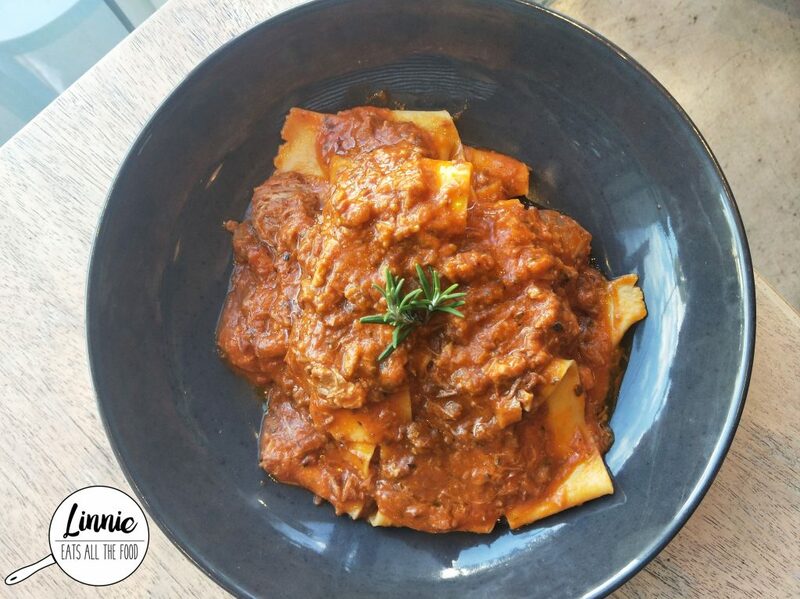 Cucina and Co serves up authentic AMAZEBALLS Italian food with super friendly staff and amazing service. 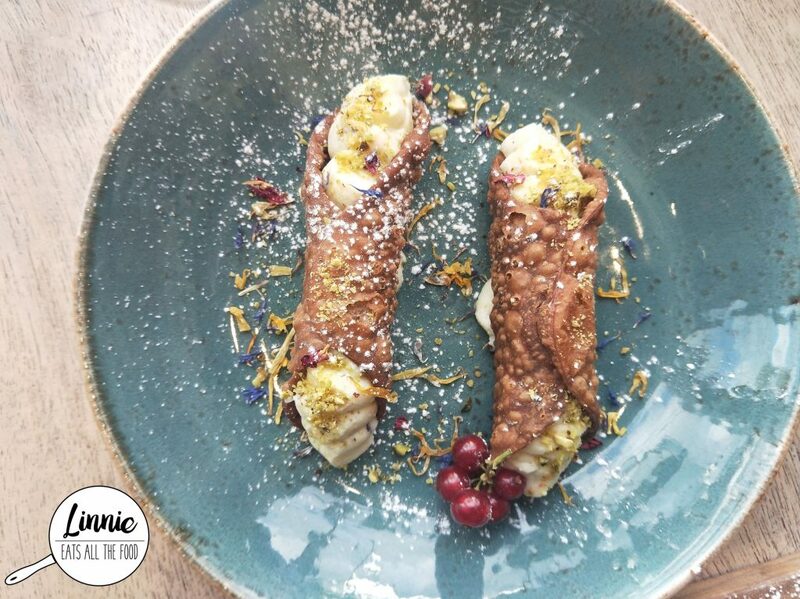 Do yourself a favour and come for the Pappardelle and the cannoli and you will go home satisfied. We will definitely be back guys! Disclaimer: I was invited to dine by Cucina & Co and all opinions expressed are my own.